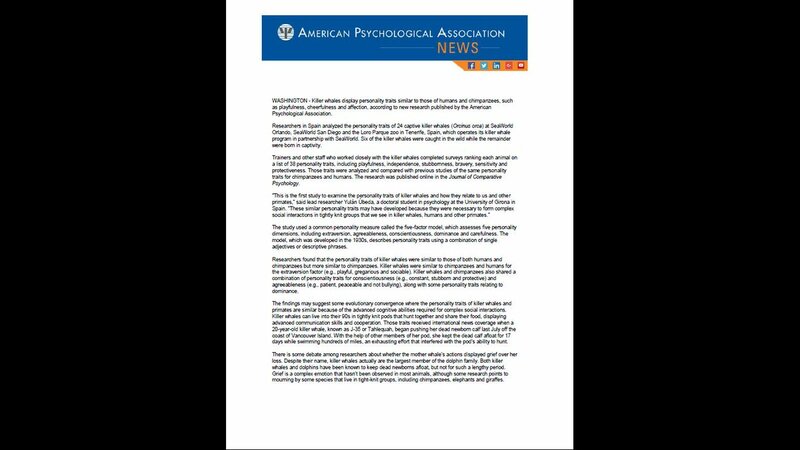 Individuals Endorsing Tony – Antonio E. Puente, Ph.D.
“I am writing to ask you to support and vote for Tony Puente for President of the APA in the forthcoming elections. 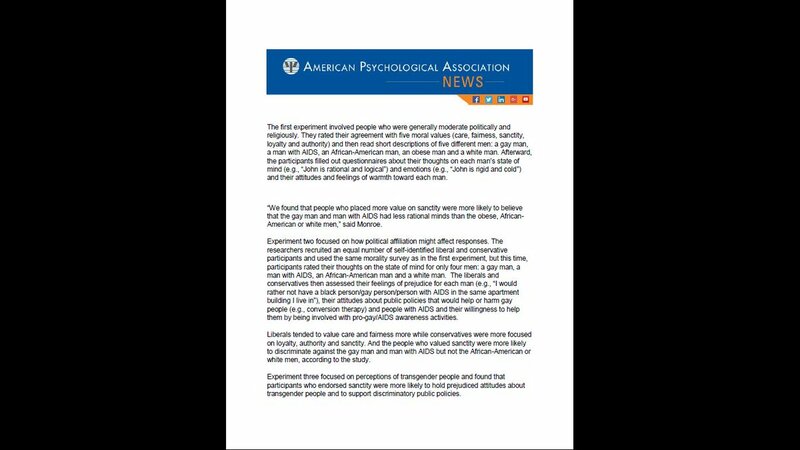 The APA Presidency is typically determined by a vote of a small minority of the membership and a candidate can lose an election because many did not vote. As you may know, Tony lost the last election by a narrow margin of this small minority that voted. During the last nominations round he obtained 64% of all nominations cast. If one reviews the list of candidates for the forthcoming election it is clear that Tony is the obvious choice. He is an individual of great stature in psychology and has an established national reputation in several areas. He is a scholar, a teacher, a scientist, a clinician, and perhaps not least of all, a major advocate for psychology. 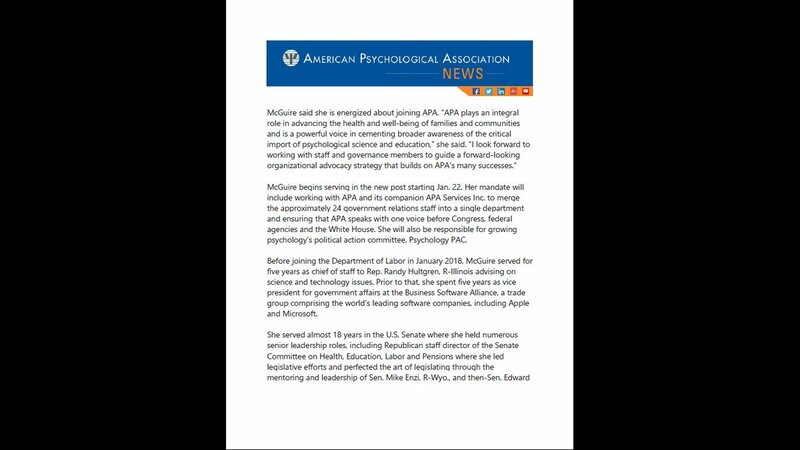 Some of us may know of him in this latter activity in which he has made significant accomplishments in promoting the status of psychology as a health (not just mental health) profession including the areas of the role of psychologists in Medicare, equity in reimbursement, and the adoption of diagnostic and therapy codes that permit participation of psychologists in appropriate assessment and treatment practices. Some of you may know him through his presentations concerning these activities to numerous professional groups at the national and state levels. Aside from his accomplishments in that area, Tony has been recognized for his excellence in teaching, including graduate students and postdocs from over a dozen countries, and for his scientific contributions, particularly to clinical neuropsychology. He has authored over 100 journal articles and 85 chapters, and has authored or edited eight books in three languages. 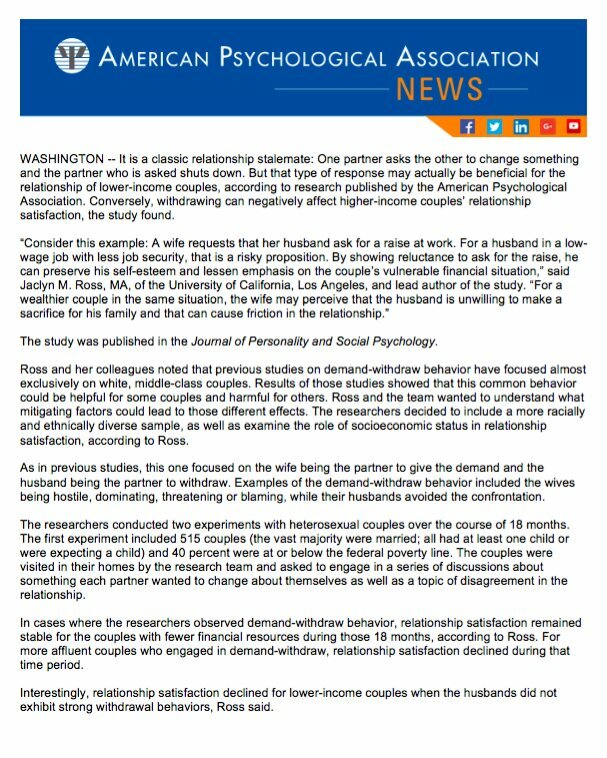 He just finished as Associate Editor of Psychological Assessment, an APA journal, and serves on the editorial boards of numerous other journals. He is internationally recognized as a scholar in the area of socio-cultural aspects of neuropsychology including being a long time Visiting Professor at the Universidad of Granada and having strong ties to Luria’s lab at Moscow State University. Tony is also an active clinician with a strong reputation in his community, including starting a multidisciplinary health clinic for indigent people in his community. In reflecting on his accomplishments, I am reminded of the days when I was a young man when the President of APA was a distinguished scholar or teacher whose name was familiar to most psychologists. Those were the days when psychologists like B. F. Skinner, Donald Hebb, Paul Meehl, Harry Harlow and more recently Marty Seligman and Al Kazdin were APA Presidents. Nobody on the current list of candidates comes close to having this level of stature with the exception of Tony. People have heard of him, cite his work, and he has an international reputation. Psychology should be proud to have him as their President with a stature equal to or higher than the Presidents of other profession al societies. Some of the rebirth of APA should involve going back to those earlier days when the President had a name everybody recognized, and who is unequivocally a leading figure in the profession. To have a scientist, a teacher, a clinician and an advocate of this caliber is a rare combination. Let him lead the charge to get APA back to its glory days. You will receive many reminders about voting which occurs for 6 weeks in September and October. Until then, let us take an opportunity to spread the word that Tony’s candidacy is a reflection of a vibrant, integrated and forward moving scientific and professional organization. In view of the Hoffman Report and related recent developments, Tony is clearly the strongest candidate to lead the major changes that will be taking place in APA. “Your statement about not being a second class citizen is very powerful. Your delivery was exceptional. Those who have the opportunity to hear you, will vote for you. That statement is among the best that I have seen from a presidential candidate in all my years.” –Reuben Silver, Ph.D.
“I don’t normally get involved with these things, but this is one of the few times I know a lot about a presidential candidate for APA (Tony Puente), and I have been really impressed by him. He is a neuropsychologist, but he has fought tirelessly for reasonable wages for psychologists using all the billing codes (testing, therapy, health and behavior), and he has been the go-to man for billing questions at our yearly neuropsychology meetings, routinely filling the largest meeting space available, as he has become such an authority on all things billing/record keeping, etc, and the direction things are going. He has managed to get on Medicare boards which were previously almost exclusively physicians, advocating for psychologists. He is a professor (see bio), and combines academic and clinical work; he advocates for cultural issues; he’s is uniformly well-respected; and he’s approachable. A pretty unique combination. Please be sure to vote in the APA election (there is a link within the url above), even if you don’t vote for Tony. But give his bio a look. I would be pleased to have him represent psychology.” – Margaret M. Zellinger, Ph.D.
ANTONIO PUENTE from NC was just 300 votes shy of winning last year AND HE IS A VERY STRONG RXP SUPPORTER. We practitioners need to come together behind this man because he strongly supports us AND BECAUSE HE HAS A VERY GOOD CHANCE of WINNING this time.- Ronald Fox, Ph.D. In addition, there is ever-increasing emphasis on interdisciplinary HealthCare. 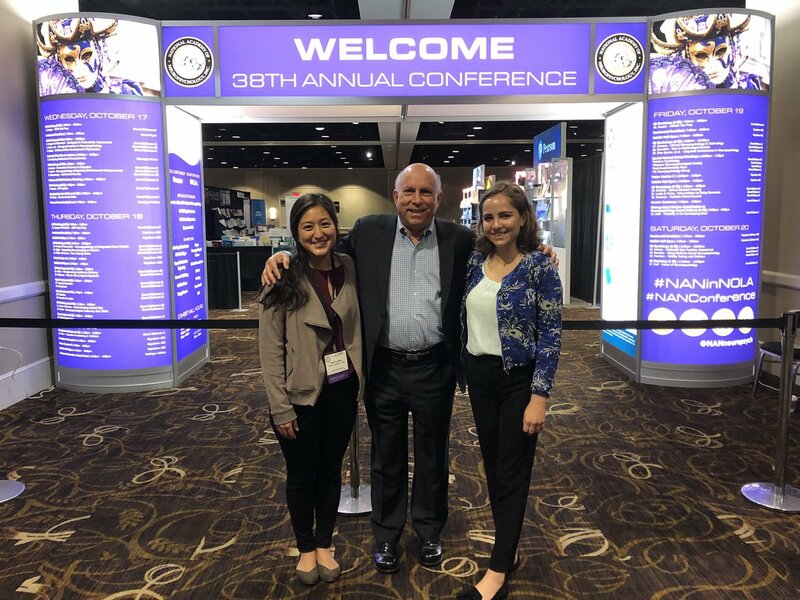 Tony has a long history as a member of one of the earliest organizations of interdisciplinary care, Founded by Former APA President Nick Cummings in the ’80s and made up of Distinguished Practitioners in the major health professions, The National Academies of Practice (NAP). Tony, was not a late comer to this advocacy organization that has produced numerous policy papers on this approach. Tony is not only a Fellow of NAP, but was Chair of its Psychology Academy and served on its governing Council. As someone who was involved in insurance and professional issues for some time, it is difficult for me to think of any other candidate than Dr. Antonio Puente for Pres.-Elect. I agree whole-heartedly with Norm Anderson. ” –Howard M. Cohen, Ph.D.
“Lead with your values. They will never let you down. Integrity, truthfulness, respect and unity are key. You possess them all and are armed with knowledge and experience that have and will serve you well! Structure of APA needs transparency in all with special provision of a value/ethical advisory group that reports to the President. 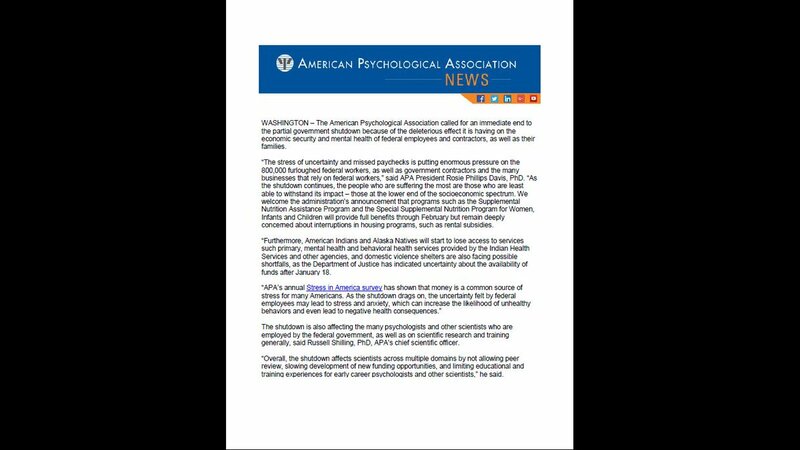 APA needs you more than ever now!” –James Schear, Ph.D.
“The Ibero American Association for Clinical and Health Psychology (APICSA), which has a strong membership of Latin American clinical and health psychologists strongly supports Dr. Antonio E. Puente’s candidacy to the presidency of the American Psychological Association. We believe there is a need for the next president to engage in a process of engagement between English and Spanish speaking psychologists which would be beneficial to psychology at an international level and Dr. Puente’s election to the presidency would facilitate this process.” –Arthur L Cantos, Ph.D.
“I want to express my strong support and recommendation to vote for Tony Puente (Antonio E. Puente) for the new American Psychological Association President. Voting starts September 15th , and please try to encourage by telephone (text or verbal) or email some of your closest colleagues to also vote for Tony Puente for APA president. As you know, we are all very busy professionals, with equally busy personal lives, so sharing vital information to colleagues who rarely have time to check the APA website is critical for our colleagues to know about Tony who will broaden psychology on so many levels. Tony, is my father, and I can truly say without a doubt, that not only is he the most dedicated psychologist and father I know, he is the most dedicated advocate in psychology. Tony, my father is known for serving on the APA task force to educate American Medical Association and our legislation of how the psychology fee reimbursement rates for psychological therapy and psychological/neuropsychological testing is extremely outdated and poorly reimbursed. Not only do we all deserve to be fairly compensated for our work as psychologists, we can serve more people and provide better quality care if we led by such a pioneer for psychology as Tony Puente. Tony, my father, has served in American Psychological Association, and National Academy of Neuropsychology (NAN) and International Neuropsychological Psychosocial (INS) on multiple panels and task forces including a special dedication to the minority groups including Hispanics, Women, and also the student organizations (APAGS). Tony, my father is truly the “Robin Hood of Psychology.” Tony is qualified for more reasons that I can truly capture in this endorsement. A few of them include that he has been practicing as a Neuropsychologist in a very active private practice, since I was a 1 year old baby. He is a professor at UNC-Wilmington, where he truly goes above and beyond in the classroom teaching, mentoring undergraduates, masters level graduates and even doctoral graduates from visiting universities (including Spain, Russia, and other countries). Tony, my father, the “Robin Hood of Psychology,” is not only my mentor and wants to be for our future psychologists (the upcoming students in graduate school), but he even mentors as a visiting professor at University of Los Angeles California, University of Spain, and University of Russia regularly. Tony’s bicultural and bilingual background make him the ideal APA president. He is truly a self-made man, who once fled Cuba with his parents at age 10 with nothing, but the clothes on his back, his education, passion for helping others, and desire to learn. 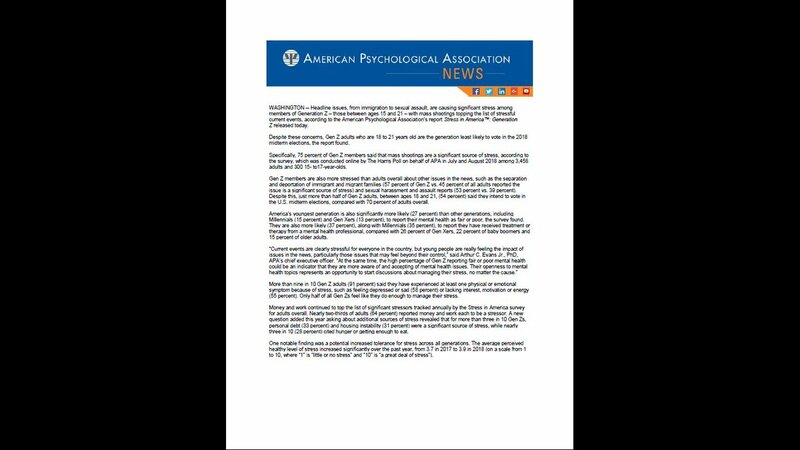 Tony, “The Robin Hood of Psychology,” is truly the best APA president I can imagine, “It’s Time for Psychology”. Let’s seize the day and check his website dedicated to more about Tony’s mission http://puenteforpresident.com/ ) He’s also been one of those special people who was honored to receive an APA’s Award for Distinguished Professional Contributions to Independent Practice. 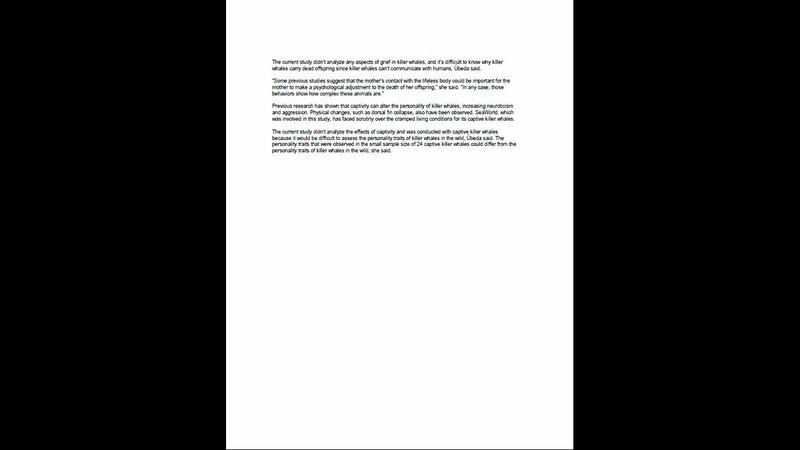 Thank you for taking time to read this email. I promise you he will make a difference in your lives, the lives of your clients, and the lives of so many people across our communities in the U.S. Tony, my father has obtained the highest number of nominations this year of the five candidates who made the ballot. Please remember to vote, as the election is now, and so your vote counts!” –Krista Puente, Psy.D. “It’s no use pulling out a lipstick and looking longingly at that pig. It’s been a rough year or two for APA. We already had challenges in instructing and encouraging early career Psychologists that APA membership is in their vital interest and also that their participation will define their (and our future entire) on the national stage. To do all what we need to do and much more, I believe that we need to mobilize as many votes as you can effect to elect Tony Puente as APA President-Elect for better ideas and a broad future based upon sustained, faithful, and competent service and advocacy for Psychology. Tony’s best services have been 1) at the point of the spear making Psychology authoritative without being authoritarian based upon our science and demonstrated effectiveness, 2) putting Psychology permanently into the main-artery economic blood-flow of healthcare and improving our standing, and 3) advocating by example an inclusive and multicultural Psychology of the mind, education, and presence with the public. How more fortunate could it be that APA elects a son of Cuban heritage with such a demonstrably rich and successful story in these United States for himself and his family as a countervail to our practical, legal, and moral distress of Guantanamo. Especially in this year of a start of a rapprochement with Cuban society. Tony is a leader of the kind we need. Right now. I respect the other candidates; but I don’t see all their qualifications as being as so much clearly in the public interest. I have a deep emotional and career investment with APA and want the best for us; which underlies my recommendation to you here. In full seriousness in my mind, failing to vote (and mobilize votes) for Tony will truly be a missed opportunity. I think APA CAN continue to sleepwalk with self-absorbed leadership for a while about current events for APA and career marginalia for other aspirants. And then fall through an open manhole cover. Only to find after the fall that you are left with the same pig. And no lipstick. “Dear Colleagues, I am writing to encourage you to vote for Antonio “Tony” Puente for President of the American Psychological Association. Tony has been Psychology’s strongest advocate for the past 15 years or more. He is a committed and excellent clinician and teacher. Tony is the first psychologist to serve on the AMA CPT committee, which determines rates at which psychological services are reimbursed by all health insurance. He consults with other governmental agencies and insurance companies. Tony has had a profoundly positive effect on psychology in North Carolina and the United States. If you want more info, check out www.puenteforpresident.com. You probably received an email elections@apa.org earlier this week (Monday). 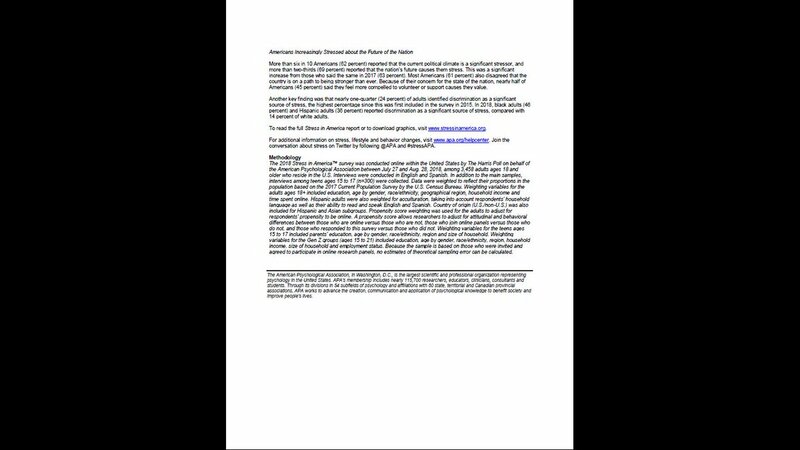 This email has a direct link to the online ballot. You can also go directly to the APA website to vote: http://www.apa.org/about/governance/elections/president-elect-nominations.aspx Please assure that your voice is heard by voting today.” –Andrew Short, Ph.D.
“It is voting time for President of the American Psychological Association! Tony Puente is our best candidate for now and for the future. I have worked closely with Dr. Puente for over 30 years and have witnessed his persistence and dedication to our field firsthand. He has represented psychology during the development of the national healthcare program and he has had a profound impact on reimbursement rates, development of CPT codes, training issues, and psychology education. He has served as President of APA’s Division 40, North Carolina Psychological Association, National Academy of Neuropsychology, Hispanic Neuropsychological Association and he was voted onto the American Medical Association’s CPT Panel as the first and only psychologist. Tony Puente has a history of national level dedicated leadership and he has maintained cordial relationships with decision makers who directly impact psychology today and in the future. Tony Puente has a unique set of skills and experiences that will be necessary in the development of the integrated healthcare system. Vote today for Tony Puente for President of the American Psychological Association. There is no better candidate for psychology’s future. Please feel free to contact me if you have questions or want further information. More details about Dr. Puente, his accomplishments and his plans for the future of psychology can be accessed at www.puenteforpresident.com.” –Robert W. Elliott, Ph.D.
“I have known and been close to Tony ever since he was an undergraduate in my behavior analysis class at University of Florida. (Rest assured, he conducted himself very appropriately and performed well.) That statement with many added superlatives could describe Tony in the years following. As husband, father, professor, clinical neuropsychologist, and contributor to national medical policies, Tony Puente has shown that one individual can make a BIG difference in people’s lives and in public policy. In psychology and neuropsychology, we know him as the guru of the CPT codes. But of more critical import, his expertise, his persistence, and his ability to bring the issues of professional psychologists and the people they serve to the inner sanctums of CMS, led to a place at the table for psychology. Tony will bring those same efforts and talents to bear as APA president, and help to move psychology even farther into the primary care system! Tony has my vote and I urge my colleagues and former students to add their votes to mine. We need Tony Puente as APA president NOW.” -Frank Webbe, Ph.D.
“TONY PUENTE and I have worked together on professional issues for over 30 years. Tony enabled your services as a psychologist to be paid by using CPT codes. Tony stood up for psychology against challenges from adversaries in medical committees and won! Tony is an honored neuropsychologist and forensic expert because of his honesty and integrity. Tony is the kind of person psychology needs as our leader in APA as our President. I have given Tony Puente my #1 vote for President. -Jack Wiggins, Ph.D.
“Tony came in a very close second place in last year’s election and has an excellent chance of being elected this year with your support. 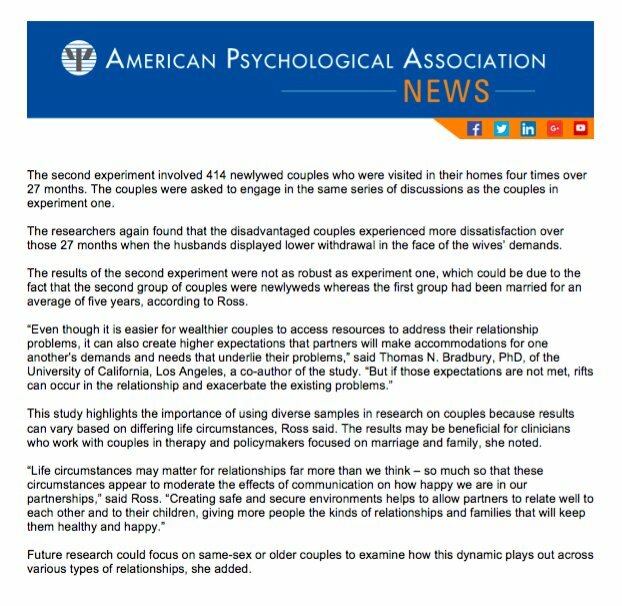 As many of you know, Tony is a neuropsychologist who collaborated with the American Medical Association to advocate for psychology, earned an elected seat on the 17-member CPT panel (the only non-medical-doctor to ever hold that position), and became a pivotal player, for 2 decades, in helping expand CPT code availability for us and receive appropriate payment for our services. He has been president of many psychological and neuropsychological associations and divisions, and is a true scientist-practitioner with extensive teaching, research, and clinical experience. Beyond his highly impressive history of professional accomplishments and leadership roles, he is remarkably humble, personable, and dedicated to modeling and embracing a positive work-life balance (and is a great surfer to boot). It is truly with great enthusiasm and excitement that I support Tony Puente for APA President-Elect. -John Randolph, Ph.D.
“This is certainly not a statement against Dr. Henderson Daniel. Rather, it is a statement of support for Dr. Puente who has done much for both the science and practice of psychology – and is well prepared to do even more as APA’s President. 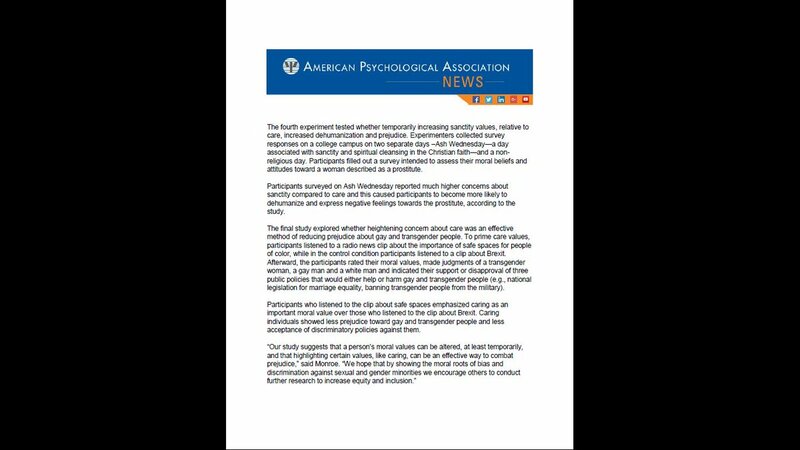 Importantly, Dr. Puente brings a fresh face to the APA. He was not directly involved in governance during the timeframe covered by the Hoffman Report. Dr. Puente is not only qualified, he is also ready to lead the APA forward out of this time of internal crisis. -Paul Craig, Ph.D.
“I have gotten to know Tony more personally over the past year, and I have developed a deep level of respect. He is a sincere guy with a genuine moral compass. He ran his campaign in a collaborative and transparent manner, and I would expect nothing less from him in the APA President role. As a neuropsychologist, Tony is clearly the best suited (and perhaps only) candidate who truly understands integrated care. His expertise regards billing/coding, which will be crucial as integrated care moves forward. Tony has served in important state and national governance roles and has published 85 book chapters and 110 articles. His campaign plans (http://www.apa.org/monitor/2015/05/candidates-puente.aspx) include concrete ways to grow psychology and improve society. He brings diversity and awareness of the needs of undeserved client/patients. I hope you will strongly consider voting for him tomorrow, as soon as the ballots are emailed. (If you already have a preferred candidate, please vote Tony #2.) -Jared Skillings, Ph.D.
“I support you to be the next PRESIDENT of APA! -Xiao Meng, Ph.D.
“He is someone we can put our trust in because he has and will continue to fight the good fight for those of us who practice and work to help those in need in urban, rural and native areas. Dr. Puente will be a uniting force for psychology! Tommy Thompson Ph.D.
“Tony’s leadership and work on CPT codes has been invaluable for practitioners – vote for Tony! -Yvette Tazeau, Ph.D. I had the privilege of attending a workshop presented by Tony Puente at Georgia Psych Association late this afternoon on CPT Coding. It was an eye-opening experience of both what is and what may be coming down the pike. So besides sitting in a workshop with a knowledgeable and engaging speaker, my income is now expected to go up several thousand dollars per year as a result of spending 1.5 hours listening to Tony. So if you have a chance to attend one of Tony’s workshops I would highly encourage you to do so. –Steven Walfish, Ph.D.
Upload a video of your endorsement here!